With the number of crimes against children escalating, every school is very vigilant when it comes to visitor monitoring. 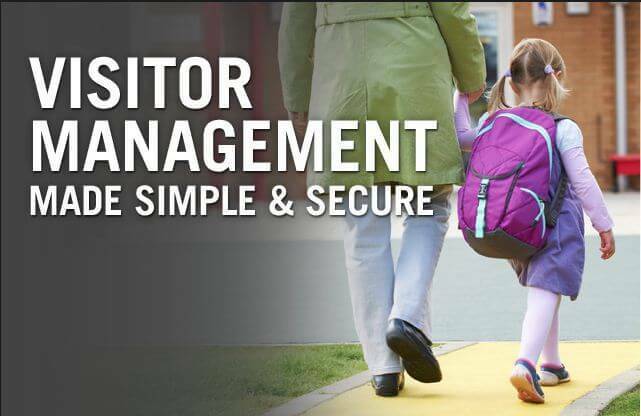 In fact, as per the CEO of the National School Safety & Security Services, visitor monitoring via badging a guest is fundamental for every school. However, for a school today, using the traditional paper-based visitor log book is no longer feasible. These are difficult to manage, prone to lose and damage and don’t store visitor details with accuracy. This is why schools today turn to visitor management systems. This visitor management mechanism helps keep track of each stranger that enters the school premises. Further, it helps communicate policies to parents and teachers and makes each visitor acquainted with safety regulations and rules. In fact, to know more, let’s review some of the features of visitor monitoring systems available for schools. Visitor management mechanism comes with a friendly user interface that processes and records the information of visitors like their name, contact information, photograph, their purpose of visit and the person they are visiting. Moreover, repeating visitors are given a badge that contains all their previous data, to help the software instantly identify h/her. School visitor ID badges are fundamentals of every school visitor management systems. The reason being, sessional instructors, community volunteers, community representatives, suppliers, tradespeople, NGO workers and invited speakers often frequent schools for recreational purposes. Thus, having a badge with an expiry date helps the school recognize and acknowledge these visitors each time. Further, with the badge, the safety of the visitors and students is more guaranteed. Parents and the administration can relax knowing that these are genuine people and not intruders. These visitor management systems are especially useful when it comes to finding out previous intruders. Perhaps, a school had an offender who in the past created a commotion. With this management system, the school will instantly be notified of the intruder trying to enter again. As a result, at once the school can take up steps to contain the offender from entering the school premises. Often when a school faces an emergency like a fire, a terror attack, or the entry of a sexual offender, verbal notices can stir up a commotion or create confusion. However, thanks to the effective visitor management systems, any chance of discrepancy will be alerted to every school personnel via automated texts and emails. This will help the school board find ways to alleviate tension and transfer the students to safety. The visitor monitoring system is equally effective when it comes to checking student punctuality and attendance. Each student’s entry and exit time is supervised, helping teachers find out if a child is missing school on purpose or not. Well, these coin up the basic features of every visitor management systems that are available for schools. So, if your educational institution isn’t using one yet, install this monitoring system today, and secure your school multifold.